I took these pictures several months ago when my car was in the garage. There are several small burial grounds scattered all over Westchester County. Purchase College has one out behind one of the buildings that contains the people who originally owned the farm where the college was eventually built. And, like all the ones that I’ve seen, the cemeteries are abandoned and neglected, but of course there are always old, neglected tombstones in every cemetery regardless of size. It’s just sad when it’s a small one that no one seems to care about, although the grass is cut regularly. 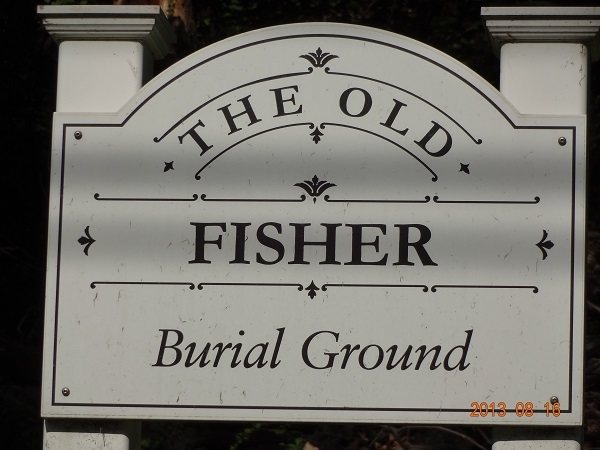 The Old Fisher Burial Ground is located along North Broadway in North White Plains. It’s next to a Dunkin’ Donuts, and down and across from my mechanic. There’s a Stop and Shop in a plaza by the light. I’ve looked at it for years, but this time I had my camera with me, so I snapped some pics. Who were the Fishers? A cursory search on the Internet found a finding aid in the Westchester County Archives. There are documents in the archives that deal with the Fishers. I admit I’m curious, but I’m not that curious.